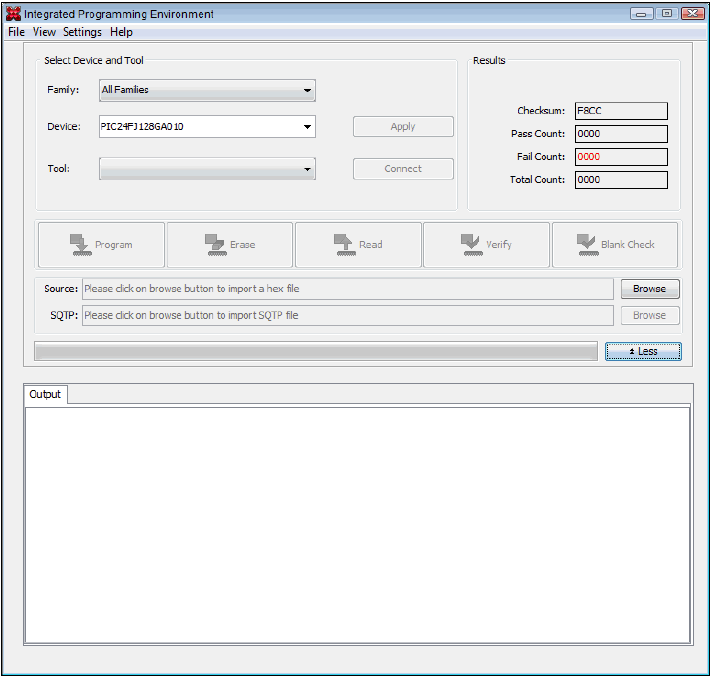 Click Settings from the IPE tool bar, select Advanced Mode. The Advanced Mode login dialog box appears. 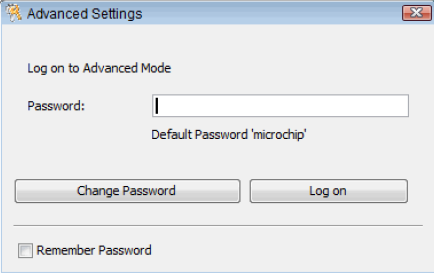 Type in the default password microchip and click Log on. See figure below. The password is case sensitive. 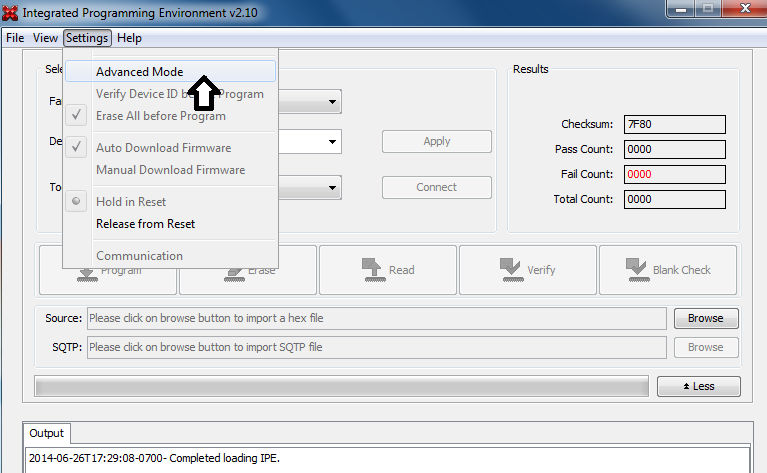 After validating the password to log in to the Advanced Mode, the dialog opens in the Operate option view, as shown below. This display is similar to the main display, with the addition of option buttons located along the left side of the window.